Completely updated! Main figure shows basic skeletal and ligament anatomy. 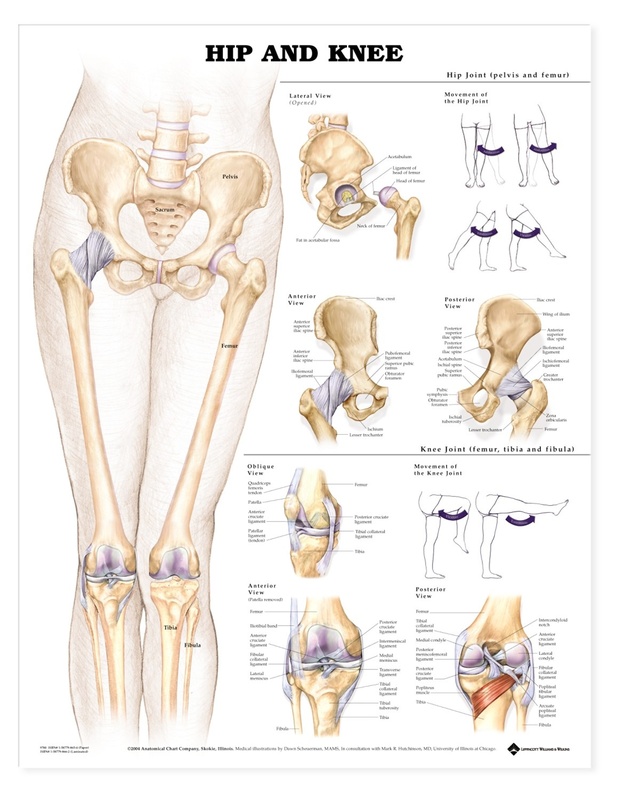 Provides detail on the hip joint with lateral, anterior and posterior views. Shows bones and ligaments. Also illustrates movement of hip: adduction, abduction, extension & flexion. 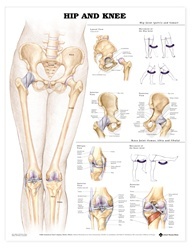 Shows various view of the knee – oblique, anterior (patella removed) and posterior. Show bones and ligaments – posterior view also includes popliteus muscle. Line drawing figure illustrates flexion and extension movement of the knee joint.